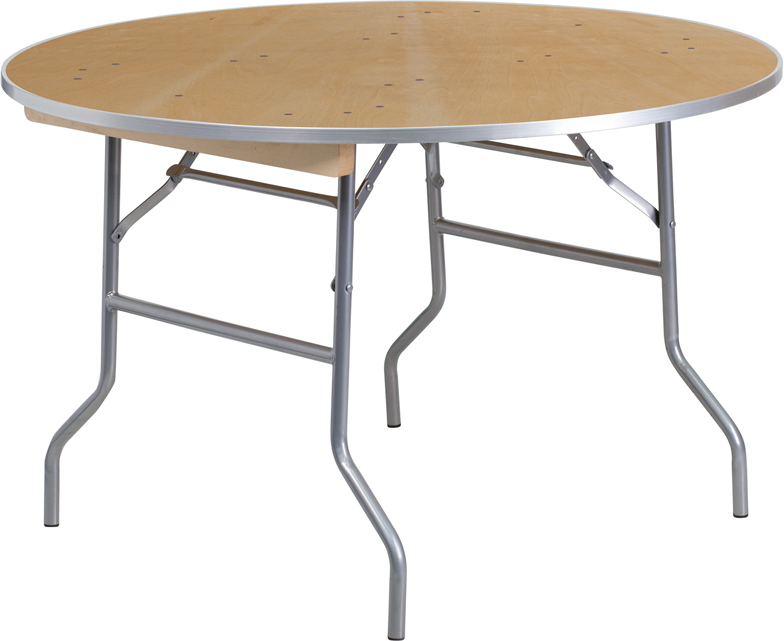 Plywood banquet tables are the most common folding tables used today. They are very heavy duty compared to their plastic counter parts. This table features a 3/4" thick birch plywood top, and protective aluminum edge. The aluminum edge will protect your new table as you roll it on carpet, concrete or any other surface. If you are looking for a heavy duty commercial folding table, this is the table for you!